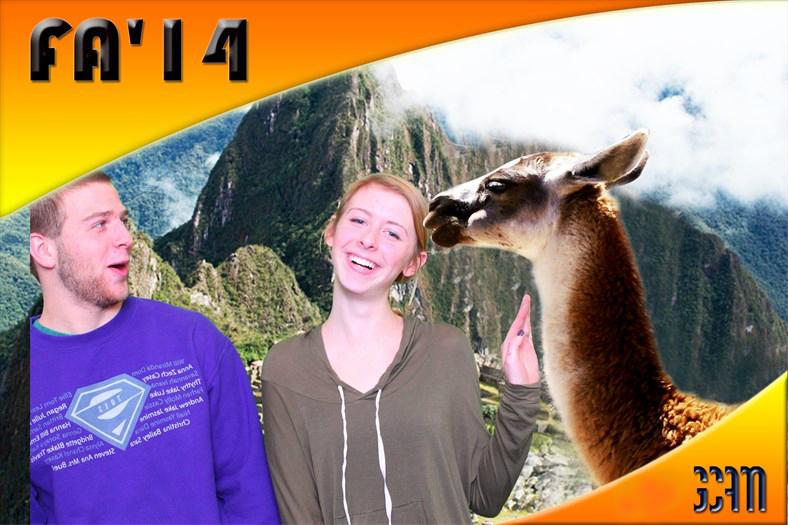 For an extra measure of fun, you can choose our new green screen photo entertainment service. It's creative and interactive, allowing your guests to insert themselves into photo designs we create just for your event. With green screen technology, the guest is photographed against a green backdrop. The digital camera allows us to render invisible any green element that is captured by the camera lens, essentially removing the subject's background. We can now magically place the subject in any scene, created in advance by our graphic artists. We work closely with our clients to create their photo event. If your party has a particular theme our graphic artists can create original scenes in which your guests can have a blast. We can bring just about any idea to life. If you can imagine it, we can create it. 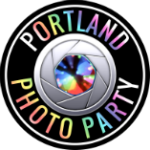 We will develop photographic "sandwiches" designed around your event theme. A background layer usually depicts most of the scene while a foreground layer might contain an element of the scene and the branding frame that identifies your special event, company, logo, etc. Your guest is then photographed while interacting with the elements of the design. The result is a creative, engaging, fun experience for all. When subjects are photographed against a green screen, the digital technology allows the background to become invisible so we can insert the subjects into a pre-designed photo scene. If you don't have a party theme but still want to create the fun of a green screen photo party we can create novelty designs from a wide range of fun iconic or kitsch images -- for example, playing poker with the dogs, cuddling up to the Mona Lisa, joining the couple in Norman Rockwell's American Gothic. The fun possibilities are without limit. We'll work with you to brand each green screen photo just for your event, including event information, your logo, etc., as part of the design. This branding is powerful. Your guests will be displaying their photos for months to come! Not only do your guests go home with a lasting souvenir of your green screen event with your brand, but your event is amplified when your guests post and share their fun photos via social media. In fact, as soon as the photo is taken and printed, your guest can share it right from our touchscreen or iPad app to Facebook, Twitter and email. With a typical Facebook user today having 150 friends, an event with 100 guests can now be amplified to 15,000 people, and be kept alive in social media for weeks after the event.